I subscribe to this lovely blog called A Quilting Life. Every Saturday Sherri posts a Saturday Seven Inspiration for Quilters. So thank you, Sherri, for the wonderful idea. 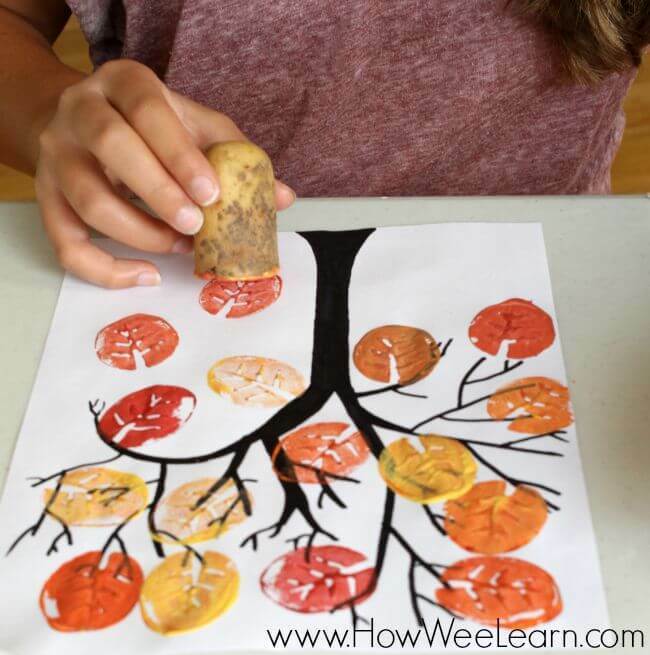 My first inspiration is this sweet fall leaf potato print from Sarah at How Wee Learn. Potato prints are easy to do and yet very effective. If you pop over to Sarah's blog, you can see a variety of leaf print pictures her children made. But I especially love this one with the black tree trunk! 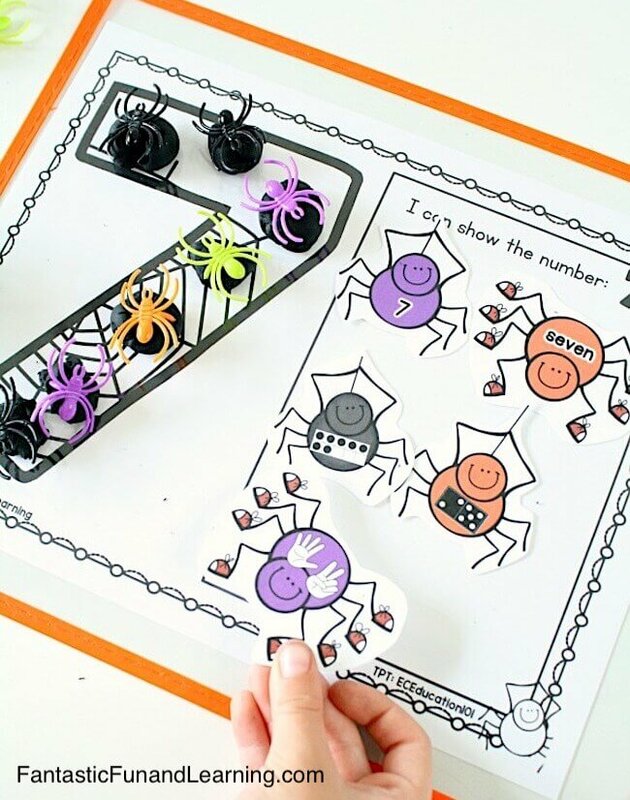 Next up are some free spider number mats from Fantastic Fun and Learning! These mats are really adorable and are perfect for pre-schoolers up to early grade 1. And in her blog post she has a bunch of really fun ideas for using the mats. My favourite are the play-dough spiders. This next one is messy, but oh my, what a ton of fun! And I think that with lots of mop-up paper underneath this is completely do-able in a classroom. Mind you, I'd do this in small groups over an afternoon while the other kids are working on an independent activity. I'm a sucker for bats. I think they have just the sweetest faces. I actually petted a bat once and it was the most amazing experience. You wouldn't believe what soft wings and fur they have. 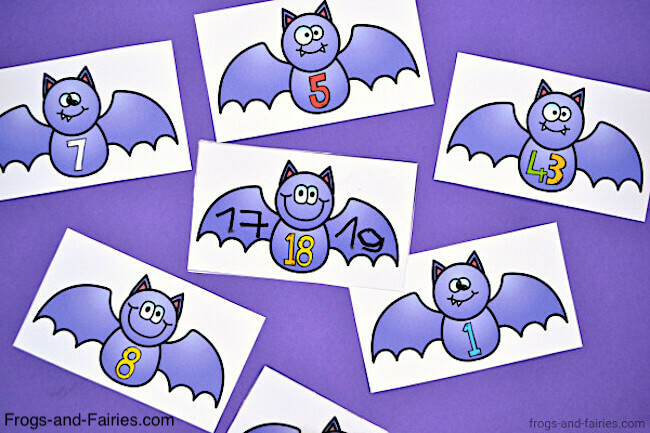 So when I found these free before and after bat numbers I knew I had to feature them. These come from Frogs and Fairies. Thank you! 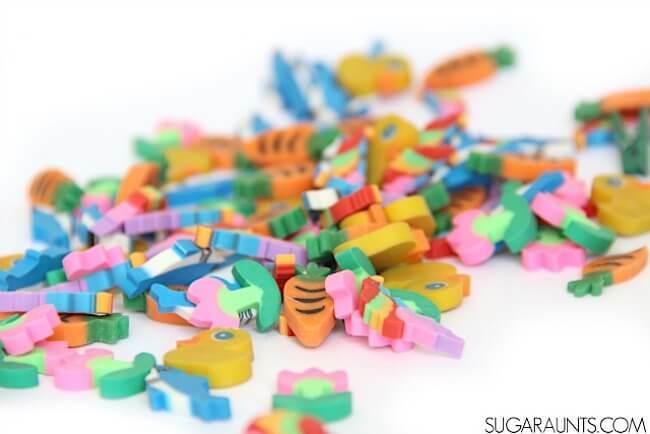 Don't you just love those mini erasers you can get from the Dollar Store? There are SO many things you can do with them in the classroom. Be sure to pop over to the OT Tool Box. She's gathered forces with a number of other bloggers to share all the different ways they use their mini erasers. I think I'll go stock up on a bunch to add to my Substitute Teaching bag! The last inspirational idea I found is this foil painting. 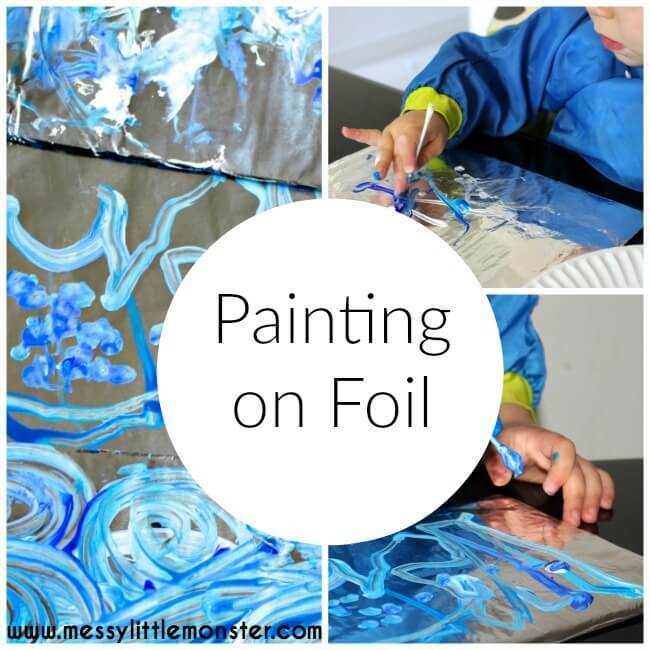 I've NEVER tried foil painting, so I'm really intrigued by this. 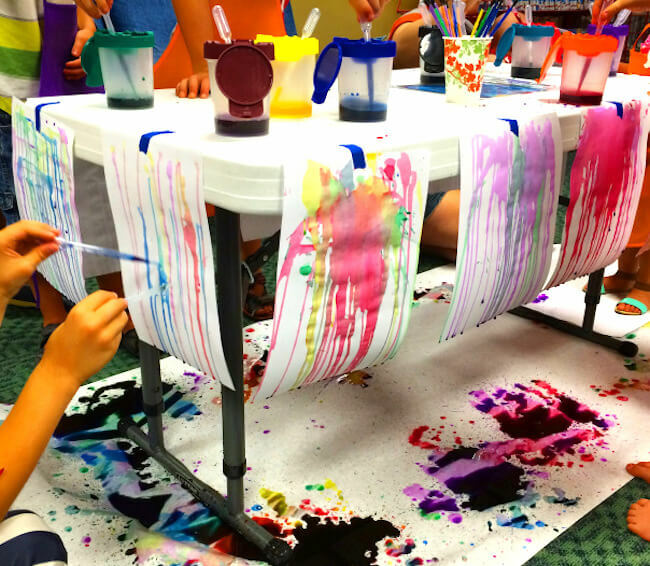 Messy Little Monster has a great post with lots of detailed instructions. The first thing I wondered when I saw this was ... won't the paint peel off? 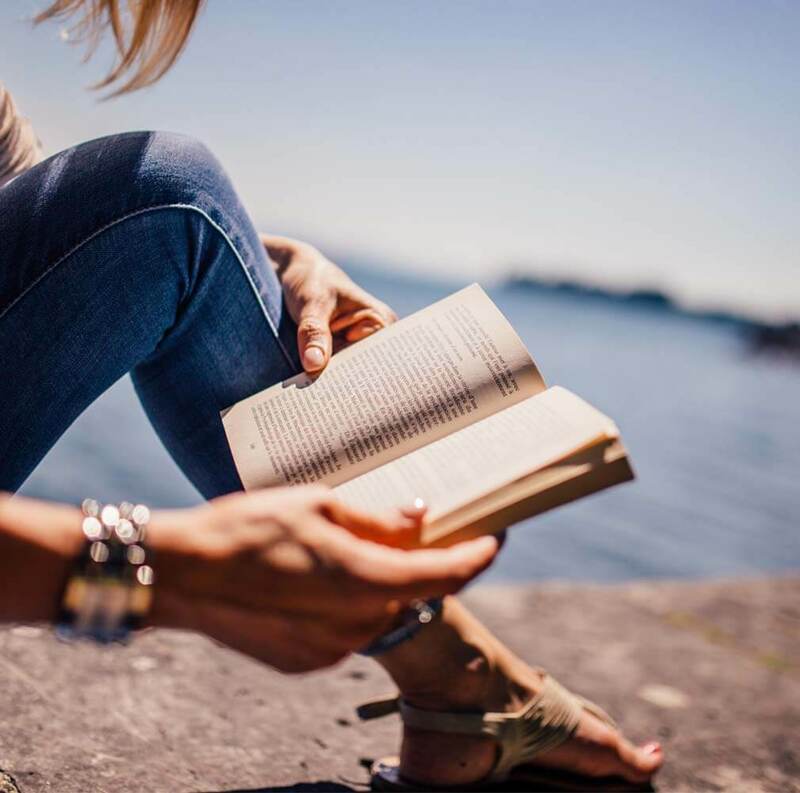 She addresses that concern and tells you how you can remedy that situation. She used Van Gogh's Starry Night as inspiration and I just LOVE those colours. That's it, friends. 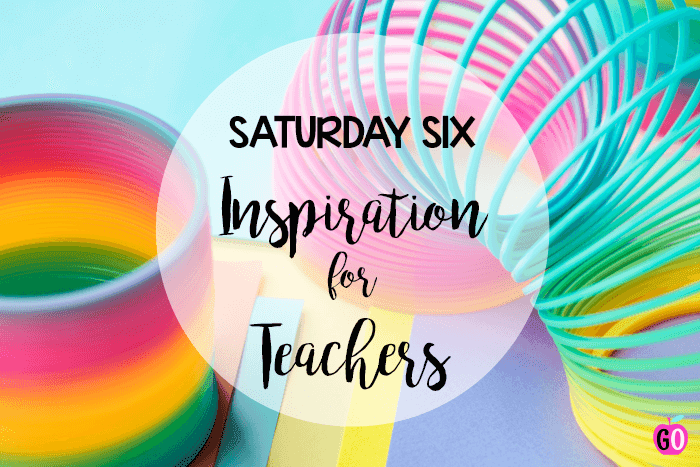 My first Saturday Six Inspiration for Teachers. I hope you enjoyed the ideas I found and I'll see you again next Saturday, if not sooner!